The Smart Pen from 3M is a very nice stylus. Well worth the asking price which I believe is about $30.00. 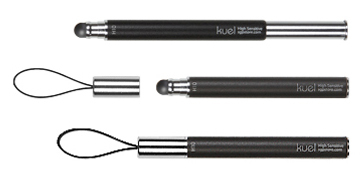 The Smart Pen is constructed from a light weight metal and has a clip and a rubber tip which is slightly smaller than the Boxwave for example, but is just a bit bigger than the Bamboo from Wacom and the Kuel from SGP. I highly recommend this stylus for artists and note takers who are using the iPad. Wacom’s much anticipated stylus for the iPad arrived a couple of days ago and I’ve had that time to test it out. I had been waiting for this one for a while, when it finally came available it sold out, leaving me checking the site regularly for a refreshed availability. I use Wacom products daily. I have two Cintiq’s. I have the older 21 at my office and the newer one at my home office. I have also owned and worn through several of their tablets. That being said, my expectations for an iPad product were quite high. First off, the Wacom Bamboo stylus for iPad and other capacitive screens is a very well made product. It is beautiful to look at and beautiful to hold. It is put together very nicely and and has a clip which you can remove if you prefer- this is a huge plus for me. It is constructed with aesthetics in mind and is built to last. Mine? Mine should last for ever. Why? Because I don’t plan on using it. The tip of a stylus is THE MOST IMPORTANT PART. It’s sort of like a pool cue. It the tip isn’t good, it doesn’t matter much. People always roll their cues on the table, looking for the straightest one- its not a rifle! It’s all in the tip. And, as far as Wacom’s stylus is concerned, we have a beautiful body with a worthless tip. The Bamboo stylus is a BUTTERFACE. The tip requires too much pressure to use for extended periods of time. It also doesn’t hold it’s shape as well as others do. When using it at any kind of an angle, as humans do, as opposed to vertically, the tip can’t tend to stay lopsided, squished at a slight angle. Other styluses instantly straighten out. The main problem with this is that the metal part closest to the tip tends to start touching the screen. Not good. If you are looking for a fine tipped stylus for your iPad or capacitive device, I would recommend the 3M Smart Pen. It’s a better bet. Or, the SGP Kuel. This one has decent craftsmanship but is a little on the thin side. It’s is also close to being too short when not extended. Back to the Wacom Bamboo Stylus, on the whole, I just cannot recommend this one. It is just not worth the asking price of $30.00. In my opinion, it’s not worth half that. They will sell fine though. The name Wacom will have them flying out the door for some time to come. I only hope that next time Wacom decides to consult some serious iPad users before releasing a product. I am definitely interested in seeing how they might improve this stylus. Not too long ago, my pal, Alex Scott completed his first actual series of oils. He chose a film noir, old Hollywood theme and went for it. I was a bit blown away by the sheer size he went for with each of his paintings. The wider, more cinematic of the group size at 48″ tall and 113″ wide! Monsters. 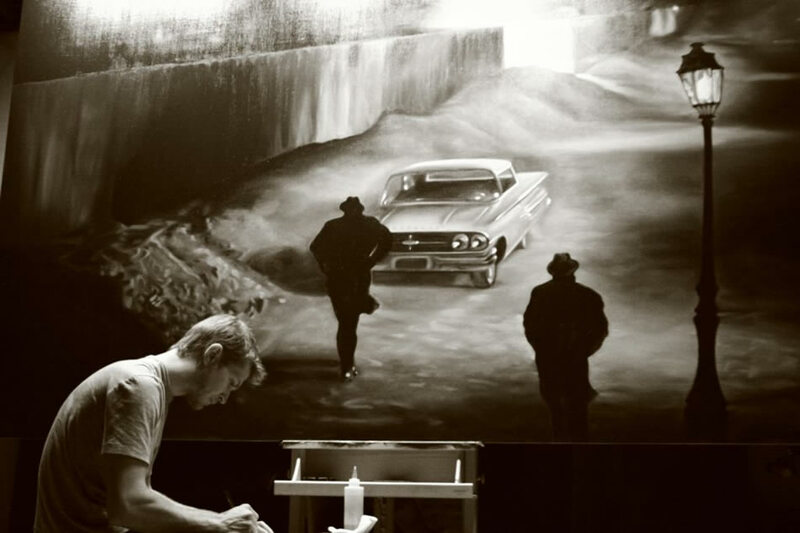 Painted in a monotone, photo-realistic manner (he is a photographer as well after all) these make an impressive collection of one of a kind oil paintings. Allow me to introduce you to my buddy and roommate (cellmate) for the past year over at Dreamworks. Actually, if either of us needs an introduction it would be me- he’s been at this art game for some time. His solid work will undoubtedly speak for that. He is a double-threat. 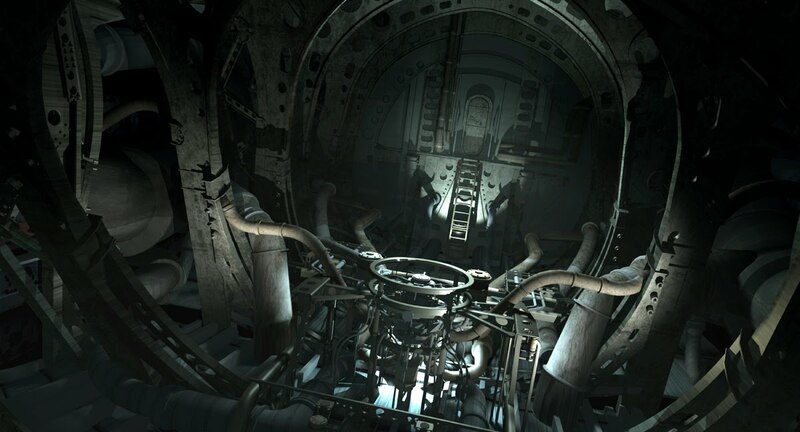 A talented 3D modeler, who as far as I’m concerned, and from what I’ve seen, can build a model of just about anything. He can also draw and paint your head off. He has an impressive range, from animation to realistic people, environments- exterior concepts to interiors, oh, and by the way, he thrives on tech. Jim is a proud family man, a great friend and a wildly talented artist. Not to mention, he is also witty and does some great impersonations. This is just a bonus, but trust me, it really helps getting through the day on the job!